The Annual Exploitation Conference, Navigating the Rough Waters of Legal Planning Today, was held on October 11-13, 2017 at the Henderson Beach Resort & Spa in Destin Beach, Florida. The conference dove deep into topics of estate planning, probate, guardianship, and elder law by attorneys who confront the epidemic of elder exploitation and elder maltreatment on a daily basis. The program addressed crucial issues such as national trends in elder law, fiduciary representation and responsibility, and office support procedures for busy law firms. Presentations included ethical obligations of representing a client under disability, hacking and data breaches, instances attorneys may become part of exploitation cases, Medicaid complexities, and practice tools to help protect a law practice and its elderly clients. Attendees receive robust materials to work on during the presentations and to take back to their practices for daily use. Florida and Montana continuing legal education (CLE) credit are available for all lectures. CLE credit may be available in other states upon submission to the accrediting authority or State Bar. 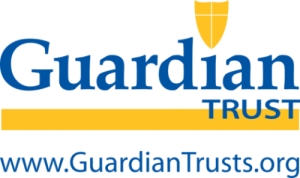 Florida professional guardian continuing education credits are also available. You can watch each video in the comfort of your own firm (or home!) and have access to the robust materials if you were unable to attend in person. Day Two of The Annual Exploitation Conference is approved for over 6 hours of CLE with 6 hours in Elder Law, 2 hours of Ethics Credit, and 1 credit of Technology for the Florida Bar. (Montana Bar credits and Florida professional guardian credits are included in the materials.) All delivered to the convenience of your own desk or home! The following presentations are available for purchase at the cost of $349.00 for video and materials. Elder maltreatment is a growing and underreported problem in the United States. This session will identify the troubles concerning the current state of the law on arbitration clauses and what lawyers can do to challenge them; address the importance of emergency preparedness for the elderly––citing to the recent events surrounding the hurricanes; and recognize the most recent cases of abuse, exploitation, and neglect. Managing Employees & Lawyers with Age-Related Impairments –– Sam Boone, Jr., Esquire, The Law Office of Sam W. Boone, Jr. P.A. Is your law practice prepared for the future? The aging workforce presents new issues for the legal profession. This session will identify how the aging American workforce is impacting the legal profession, address the signs of cognitive impairments in senior attorneys, and explain what programs and practices are in place to accommodate those who may have impairments. Law firms must plan for hacking and data breaches as technology becomes an essential part of every law practice. This session on cybersecurity will help participants understand the nature of cyber threats for lawyers, identify how these issues impact banking and attorney trust accounting, and address challenges to protect yourself. Protecting and advocating for the elderly and people with disabilities means more than understanding exploitation and abuse. Participants will learn causes of action against entities and individuals who may have assisted in elder maltreatment, identify the ethical issues arising when associating counsel to bring these types of cases, and learn how whistleblowers benefit elders and people with disabilities. Stockbrokers, Financial Planners, Bankers, & Exploitation –– David Weintraub, Esquire, The Law Office of David Weintraub P.A. Elders who hire a person or entity to manage their money often have little, if any, information about who they have hired and how their money is being handled. This session will identify warning signs of exploitative or other damaging behavior by a client’s stockbroker, financial planner, or banker; and explain how to report a bad actor to the state and federal regulatory and licensing agencies. Representing elders and people with disabilities brings with it special ethical obligations for attorneys. This session will identify how lawyers may inadvertently assist exploiters, discuss protections for clients, review ethical rules lawyers should observe when representing clients under disability, and address resources to help resolve ethical issues. Day Three of The Annual Exploitation Conference is approved for 6 hours of CLE with 6 hours in Elder Law, and 1 hour in Ethics CLE credit for the Florida Bar. (Montana Bar credits and Florida professional guardian credits are included in the materials.) All delivered to the convenience of your own desk or home! Even with a well-written office manual, employee issues within a law firm can create liability. This session will evaluate the importance of office manuals, address the importance of communication in order to develop appropriate and ethical interactions between attorneys and team members, and provide solutions unique to individual firms. Understanding how crimes against the elderly are prosecuted is essential to attorneys who serve aging clients. This session will identify the most common problems prosecutors face when prosecuting crimes against the elderly, address the ethical considerations for prosecutors when prosecuting crimes against the elderly, and explain how to report cases involving elderly victims to prosecutors and law enforcement. Adult Protective Services (APS) investigates reports of abuse, neglect, and exploitation of elders and people with disabilities. This session will provide a better understanding of the APS legal process; identify mandatory reporters and explain how to make reports of abuse, neglect and exploitation; and address the ethical issues that can arise. Before attorneys think about a Medicaid plan or application, they need to think about the nightmares and plan to deal with them first. This session will identify complexities throughout the Medicaid process and explain two types of appeal hearings and how to prepare for one. You Are Still Getting Sued, We Just Found New Ways –– Jay Hemness, Esquire, Law firm of Emma Hemness, P.A. There is always a risk that a lawyer’s actions or inactions can cause harm when representing elders. This session will identify new types of lawsuits being filed against elder law and estate planners, identify the value of malpractice insurance, and learn how to reduce risk and avoid liability. If you purchase both the Thursday and Friday video presentations and essential materials the total cost is $599.00. This is a total of 12 hours of Florida CLE for The Annual Exploitation Conference with 12 hours in Elder Law, 1 hour of Technology and 2 hours in Ethics credit. 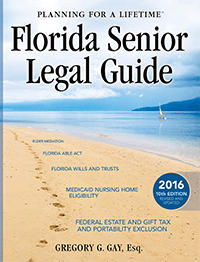 (Montana Bar credits and Florida professional guardian credits are included in the materials.) All delivered to the convenience of your own desk or home!